Methodist Union of Social Agencies (MUSA) - Providing Educational and Supportive Services to Steel Valley Youth! 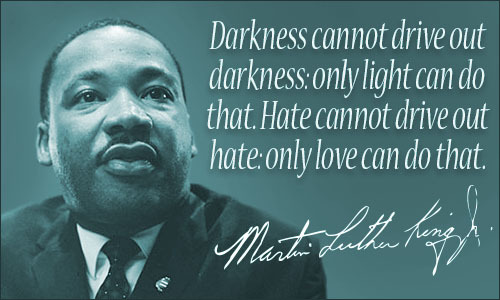 All MUSA programs will be closed on January 21, 2019 in observance of Martin Luther King Jr. Day. All programs will resume for normal operating hours on January 22, 2019. Our organization is partnering with AmeriCorps this year! These are paid positions that need good people to mentor and tutor our youth. Please visit www.keysservicecorps.org for more information. MUSA will be closed on..
All day care will take place on March 24, 28, 29 at the SVCOG building. Little Lambs Classroom will also be closed on Friday, June 3, 2016 to clean and prepare for Summer Camp! MUSA would like to thank our families, funders, and community partners for a great summer! MUSA Little Lambs Early Learning Center enjoyed a summer of enrichment activities, helping them to prepare for kindergarten while also having fun! The Little Lambs visited the Pittsburgh Zoo and Ryan Hacke Park, enjoyed weekly water play, participated in fun soccer activities with HappyFeet Pittsburgh, and-of course-brushed up on their reading, writing, and math skills! MUSA’s school-agers had a summer full of fun and exploration at our Summer Day Program. Participants went on too many great field trips to name, with some highlights being a trip to Idlewild and the Pittsburgh Zoo! Youth also enjoyed weekly programming with Snapology, The Outdoor Classroom, Children’s Museum of Pittsburgh, Pittsburgh Ballet Theater, and the Carnegie Science Center. 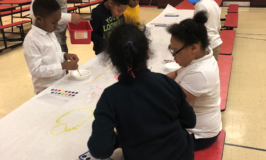 To top it off, MUSA’s Summer Day Program was featured on WPXI’s Proud to Be From Pittsburgh segment, which highlighted our summer program’s focus on science and arts education! Thank you again to everyone who helped to make this year’s summer programming a success. We are already looking forward to next summer! In the mean time, check out our afterschool and preschool programs, which are both now enrolling! Now Accepting Enrollments for 2015-2016 Afterschool and Preschool Programs! Homework assistance and tutoring, arts & crafts, physical activities, creative play, snack, hot dinner, and much more! Students at Barrett, Park, Franklin, and Propel encouraged to enroll! CCIS accepted. Affordable private tuition rates also available. Contact us at (412) 461-1800 or at JMarsili@musasv.org to enroll!